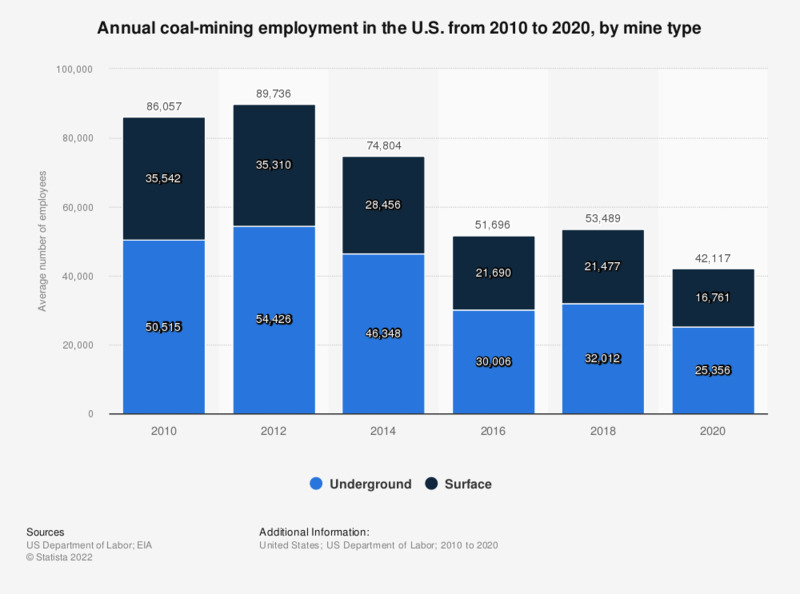 This statistic outlines the total coal-mining employment in the United States from 2009 to 2017, by mine type. In 2017, the coal-mining industry in the United States employed 52,996 people. Of that number, more than 31,000 employees worked underground. Includes all employees engaged in production, preparation, processing, development, maintenance, repair shop, or yard work at mining operations, as well as office workers. Excludes preparation plants with less than 5,000 employee hours per year, which are not required to provide data. This statistic was assembled using several editions of the report.